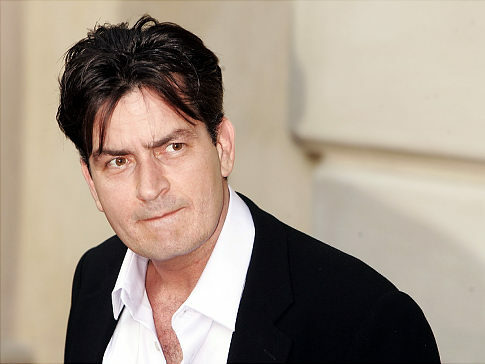 Although it was claimed earlier this week that the actor is once again taking drugs, which got him fired from ‘Two And A Half Men’, sources close to the production on his latest sitcom insist that despite his hard partying ways, Charlie is a consummate professional on set. A source told RadarOnline.com: “It’s amazing how much Charlie parties but he’s still able to go to work and perform. The show tapes multiple episodes at a time and Charlie is somehow able to still deliver his best. It has been alleged that Charlie has been spending up to $2,000 a day on cocaine over the past eight months. A source said: "For at least the last eight months or so Charlie has been having a quarter to half an ounce of cocaine delivered to him every single day and was spending nearly $2,000 a day on drugs. Sometimes he'd even get two to three quarters of cocaine in one day. The 47-year-old actor - who is a father-of-five - is also said to be spending a huge amount of money on prostitutes and allegedly even paid for one of his favourite girls to undergo cosmetic surgery and bought her a new car.